Jaidyn is using Smore newsletters to spread the word online. Thalassemia is a blood disorder involving less than normal amounts of an oxygen-carrying protein. Its inherited from your parents and only the most severe cases of Thalassemia need to be treated. 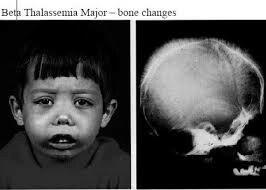 Most children start to show signs of Thalassemia within 2 years of life. Doctors use blood tests to determine if you might have the disease. Prenatal testing can also be done. In most cases Thalassemia is a very mild disease that needs no treatment. 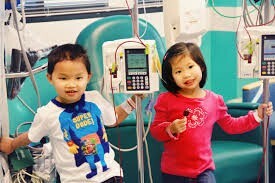 However, occasionally there are some people that need to have blood transfusions and bone marrow transplants frequently. Thalassemia can last for years or it can be lifelong. To help reduce the symptoms of the disease you will have to avoid excess iron. Eating a healthy diet will help reduce fatigue. Also you must avoid infections. Needed annual vaccines are flu shot, Meningitis, Pheumococcal, and Hepititas B. "Thalassemia." Lifestyle and Home Remedies. Web. 13 Oct. 2015. "Thalassemia." Healthline. Web. 13 Oct. 2015.